There's a reason why rival GMs hesitate to deal with Danny Ainge. Whether we're talking the deal that sent Kevin Garnett, Paul Pierce and Jason Terry to the Brooklyn Nets, or the most recent trade involving the haul that came from that deal, which sent Jae Crowder, Isaiah Thomas and Ante Zizic along with one of the Nets picks to the Cleveland Cavaliers in return for Kyrie Irving, the tendency for trade partners to find themselves on the losing end of a deal is a real one. Ainge won't take any blame for others folly, though, as you can hear in the videos below. He also has a little to say on what it's like for Kyrie and Gordon Hayward to be watching this team reach heights they hoped to be a part of from the sidelines on this weeks Toucher and Rich show. 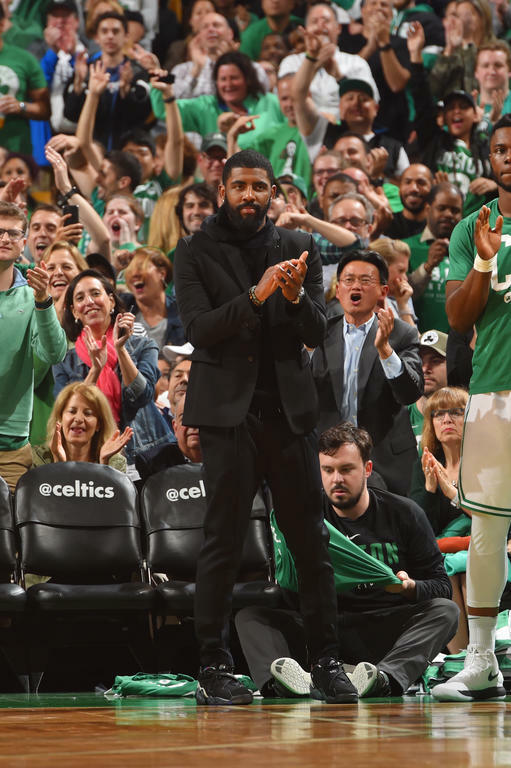 The Boston Celtics might have had a lot of bumps in the regular season, but it's playing dividends in he postseason, and from the looks of things, adding Kyrie and Gordon suggests we're only beginning to see what this team can do when fully healthy.